The investors that are plotted here are abnormal in that they have earned significant excess returns vs the market over very long periods of time. This doesn’t sit well with efficient market hypothesis. What is impressive is a sense of order within their abnormality: the out performance displays mean reversion over time! What better way to follow a post on Warren Buffet than this. Him and some of his peers manage to (almost) defy even this mean reversion! 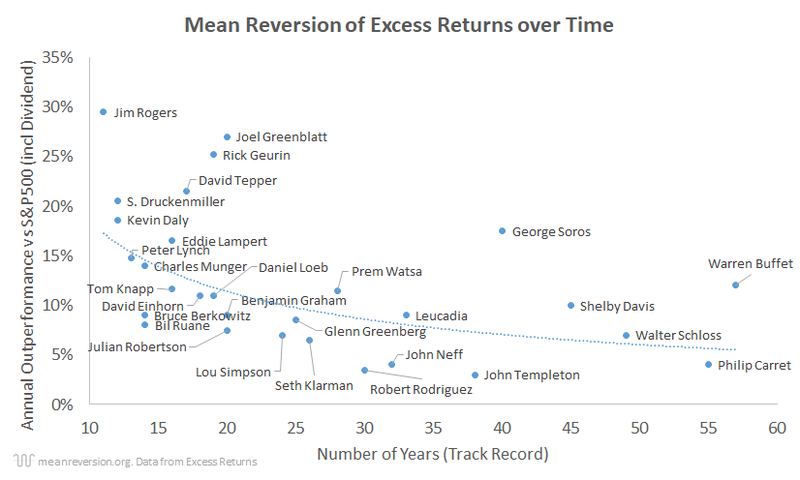 The data comes from the book Excess Returns (2014). Previous Investing: Its never too early to start and its never too late to stop!